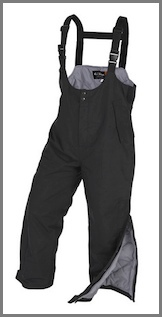 3.5 MM Neoprene Deluxe Chest Wader. Retain™ heat retention technology in boots. Tired of your feet getting cold? We have the answer. Our patented boot insulators contain ArcticShield technology, a multi-layered heat retention material that captures and returns up to 90% of your body heat back to you. Ideal for the outdoorsman who demands maximum comfort and freedom of movement, but also wants to be warm and dry. The ArcticShield Cold Weather Bib is the answer. ArcticShield Cold Weather Extreme Bib. 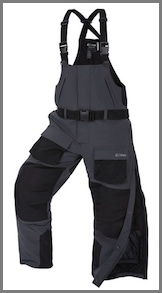 Padded Knee, Padded Seat, Comfortable, Flexible Style with lots of pockets and ArcticShield Warmth. ArcticShield Cold Weather Extreme Parka. To prepare for chilly weather conditions, the Cold Weather Parka will keep you warm and toasty. 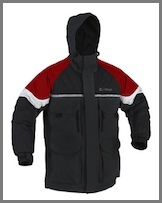 It is lightweight enough to offer you the comfort and mobility for a full day out on the ice or open water. ArcticShield Cold Weather Plus Bib. 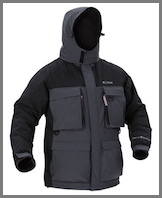 Ideal for all cold weather applications, the Cold Weather Plus Bib not only offers you the thermal insulation you want for keeping warm and dry, but is also functional, durable and comfortable for the most demanding ice fisherman or outdoor enthusiast.